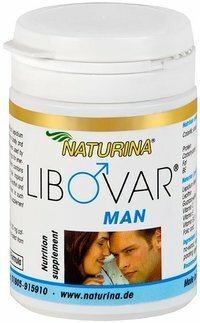 Naturina® Libovar Man Capsules 30 Pcs. Libovar is a nutritional supplement that has been shown to improve sexual desire and performance, increase libido and enhance your energy and endurance level. Libovar is an herbal formula that has been shownto improve sexual desire and performance, increase libido and enhance your energy and endurance level.